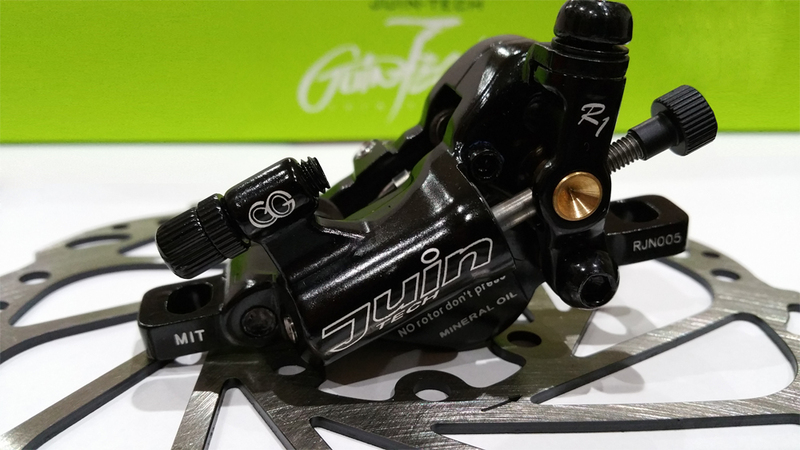 The Juin tech R1 hydraulic cable pull cyclocross (CX) disc brake set offers a unique solution to the cyclocross (CX) rider wanting to upgrade from mechanical cable pull disc brakes. Also recommended for road use. The brake pads operate by a cable actuated closed hydraulic mineral oil system. This allows the cyclocross/road rider to use their existing control levers on a disc brake bike without the expense of upgrading everything to accommodate fully hydraulic disc brakes. Braking performance is enhanced over a mechanical disc brake with easy pad and cable adjustment. The pistons actuate in a parallel motion unlike the one sided movement of a mechanical disc brake and at approx. 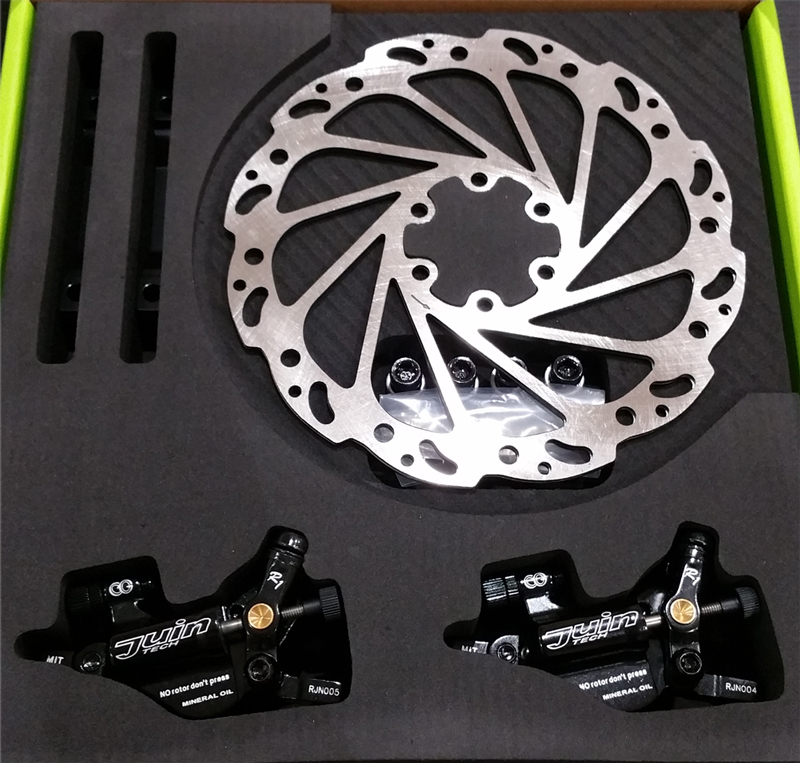 At 142grams per caliper they offer substantial weight saving. These brakes have been tested in the 3 Peaks Cyclocross race and offer outstanding braking performance and stopping power. These brakes were put through their paces on some of the most gruelling descents. Weight: 142grams per caliper approx. Replacement pads for these calipers are RWD Shimano R010. After extensive testing we recommend organic replacement pads.